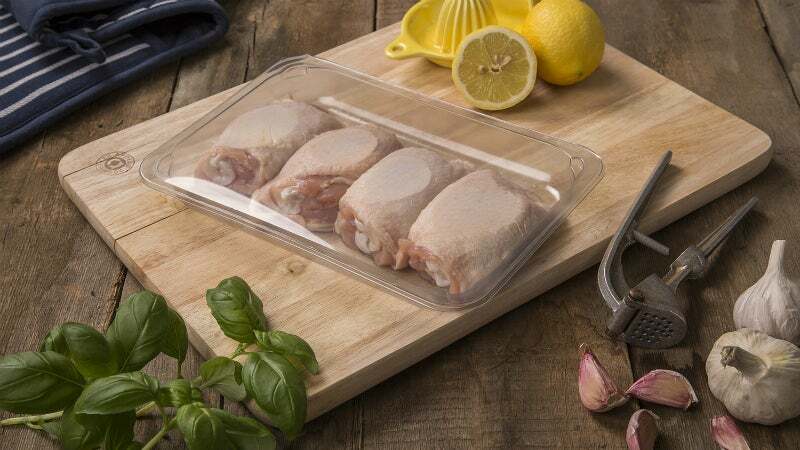 France-based food packaging manufacturer LINPAC has announced it will be attending CFIA to showcase its sustainable, multi-material pack solutions. The company will demonstrate its tray and film capabilities, which offers LINPAC France customers the benefit of sourcing cost-effective, complete pack solutions from a single supplier to suit a wide range of applications. On display will be the manufacturer’s large portfolio of expanded polystyrene (EPS), polypropylene (PP), and recycled Polyethylene Terephthalate (rPET) tray solutions, as well as complementary stretch or high-barrier films, including the award-winning Rfresh® Elite and Evolve tray ranges. In addition, LINPAC will launch three new advanced LINtop® lidding film solutions. The sustainable LINPAC Rfresh® range is manufactured from up to 95% rPET. Further to this, the super-lightweight, mono-material Elite tray is 100% recyclable at the end of its service life due to a unique, patented sealant on the tray flange. The special sealant removes the need for the industry standard PE laminated base film. Group marketing manager at LINPAC Nikki Clark commented: "Visitors to LINPAC at CFIA 2017 will be able to learn more about the many benefits of LINPAC modified atmosphere and vacuum skin packs, including anti-fog, clarity, and light weighting advancements." "And importantly, witness how this translates to the showcasing, preservation, and protection of meat, poultry, and fish products in the retail environment to increase shelf life and ultimately help to reduce food waste across the supply chain." Delegates can explore the company’s advanced film and tray combinations including mono rPET, rPET / PE, barrier PP, and barrier EPS via an on-stand design service and live tray and technical demonstrations by the LINPAC team. CFIA takes place in Rennes, France, from 7 March to 9 March. LINPAC will be located in Hall 7 at stand C1.